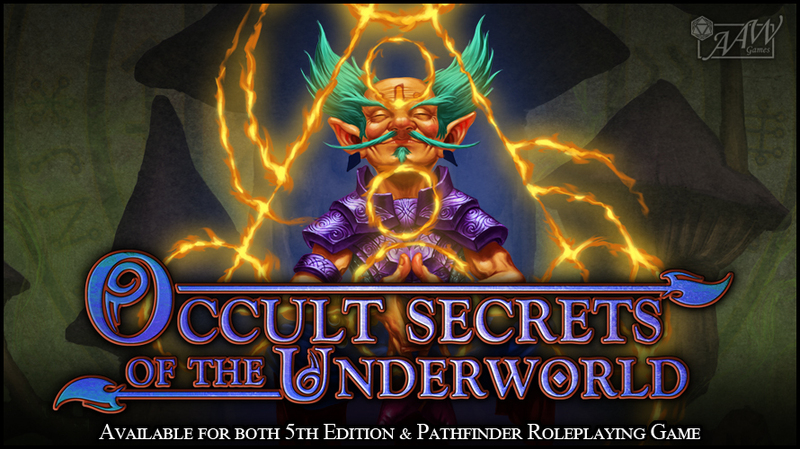 I've designed another Kickstarter for AAW Games / Adventureaweek.com, this time for an expansion to their amazing Underworld setting (Underworld Races & Classes, Rise of the Drow). I also contributed design to the book itself. The project is fully funded, and you can check it out by clicking here. 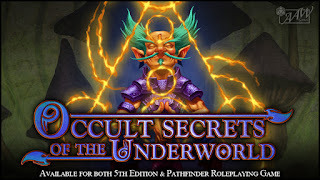 Occult Secrets of the Underworld is available for Dugneons & Dragons 5th Edition as well as Pathfinder Roleplaying Game. The untold vastness of the realms below beckons, and for the first time, we unearth the mysterious occult traditions of the Underworld. Surface-dwellers can now lay their eyes upon the concepts of the Red River that binds all, attain amber enlightenment and transcend the bounds of the flesh with unique and potent magitech! Psychic poisons, mesmerizing spores and the damned of Hel await your command! 2018 ENnie Nomination for Adventureaweek.com!